embolism is rare & can kill. Anesthetic hazards need specific care. Limited information on litigations after LC favor surgeons in only 17.3%. This paper, along with recent updates, has also been presented at 11th World Congress of Endoscopic Surgery, Yokohama, Japan 2008. Bibliography of the above complications is available as ready reference. Please CLICK HERE. experience and judgment are usually not responsible for complications during Laparoscopic cholecystectomy. 2. Complications not detectable during surgery - as in many cases of bile duct injury. mention all possible grave complications. For knowledge & safety: Please read the analysis at bottom of this page. 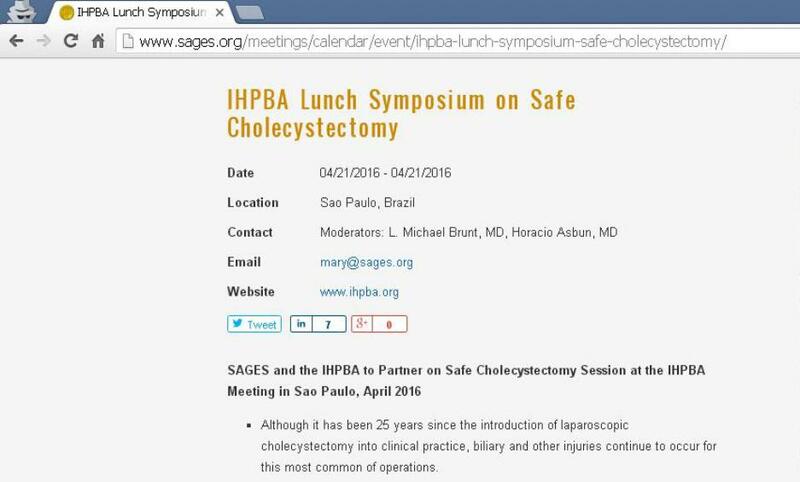 http://www.sils.com/gallbladder/pages.aspx please read patient risk information at bottom of the page. 3. Gall Bladder Stone is a benign disease - meaning thereby that it is not a cancer. 4. Gall Bladder Surgery has certain complications: some are non life threatening while others are grave. bladder surgery compared to the 4 hole surgery called Laparoscopic Cholecystectomy (LC). duct injury rate is still very high. 1.4% as compared to 0 to 0.1% in open cholecystectomy. approximately an equal number in Europe, making it a very common surgical procedure. Thus some 10780 are suffering common bile duct injuries annually in USA and an equal number in Europe. pregnancy. This may need another surgery for repair / immediate surgery if complicated. bladder which can cause stones, colic and other problems. experience of judgment on part of the surgeon. byMedscape Medical News, would confirm the nature of the complication. injury to the bile duct. 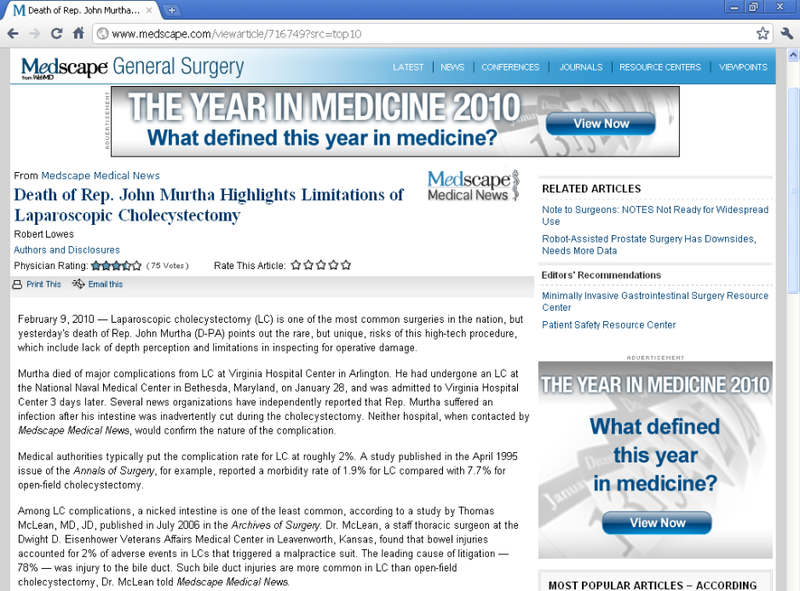 Such bile duct injuries are more common in LC than open-field cholecystectomy, Dr. McLean told Medscape Medical News. Intestinal injuries, he said, are usually caused by trocar insertion. "There may be as many as 5 [trocars] inserted. This tends to be feel-only." 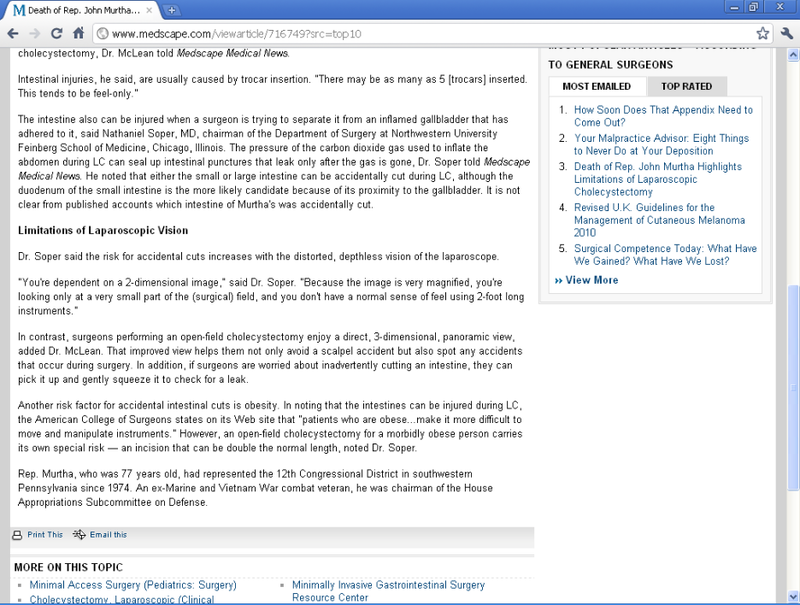 Dr. Soper said the risk for accidental cuts increases with the distorted, depthless vision of the laparoscope. (surgical) field, and you don't have a normal sense of feel using 2-foot long instruments." biliary and other injuries continue to occur for this most common of operations". 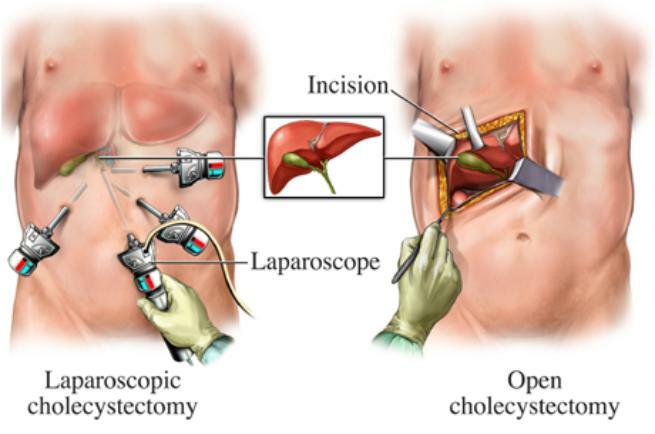 4 Hole Surgery - Laparoscopic Cholecystectomy is a surgery with "Inherant Risks"